My favorite summertime veggie is fresh corn. It’s everywhere and it’s cheap and it’s sweet and crunchy right off the cob. The best thing is almost everyone loves corn, right? The biggest problem we seem to have is figuring out what else to do with it. Corn on the cob….check. Done and done and done. 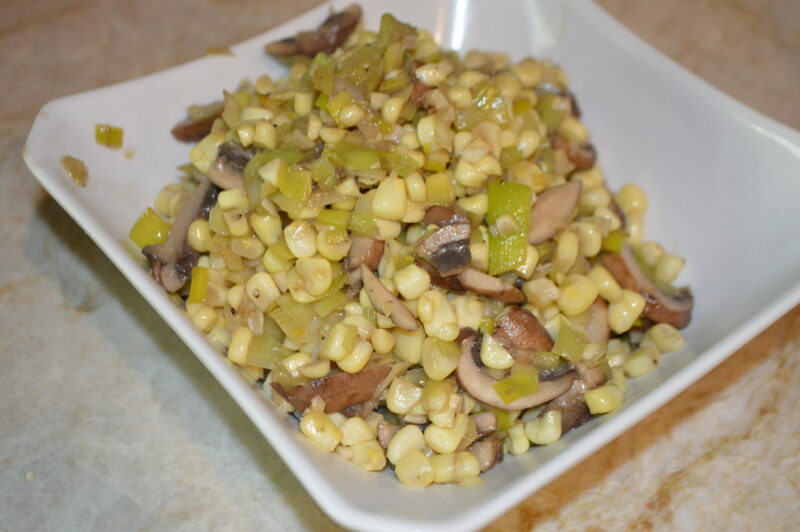 Corn and black bean salad is another favorite side dish of mine that is great for picnics or summertime BBQ’s because it holds up well and can sit out without wilting. 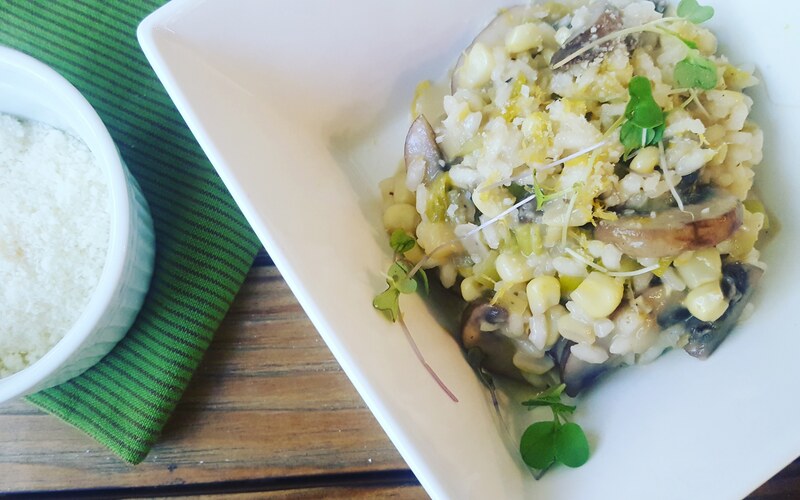 So here’s my other favorite way to use up some of that fresh summer corn sitting in my fridge – Risotto. You can use any array of veggies you want with this. 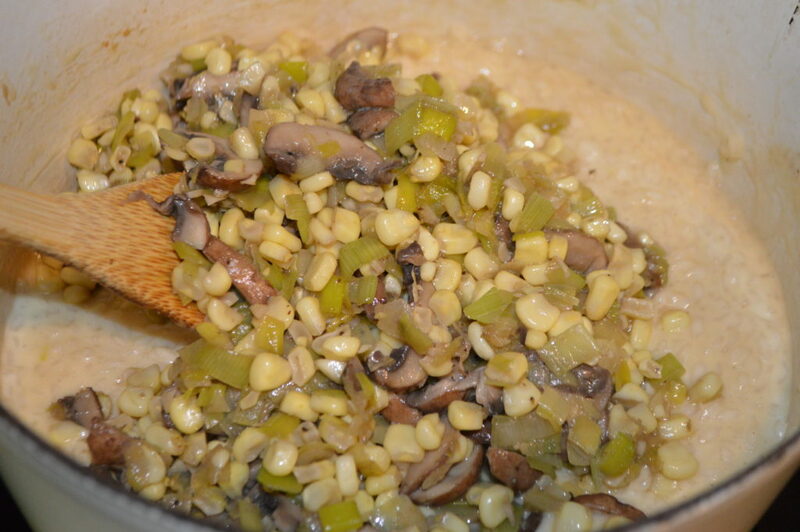 I love mushrooms so I used leeks and mushrooms which, to me, is a heavenly combination. But if you hate mushrooms, and many of you do, then swap that out for fresh zucchini or sweet orange bell pepper or whatever else you have ripening in your garden. 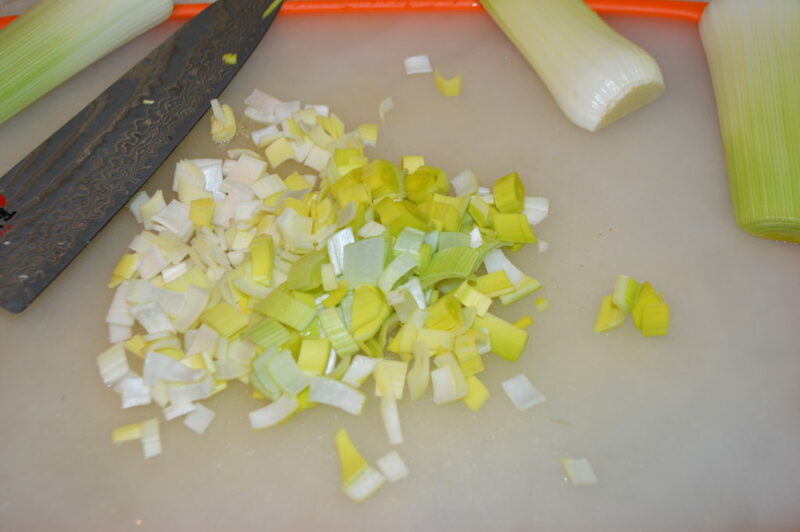 I like the flavor of leeks a lot but you could easily use a yellow onion instead. 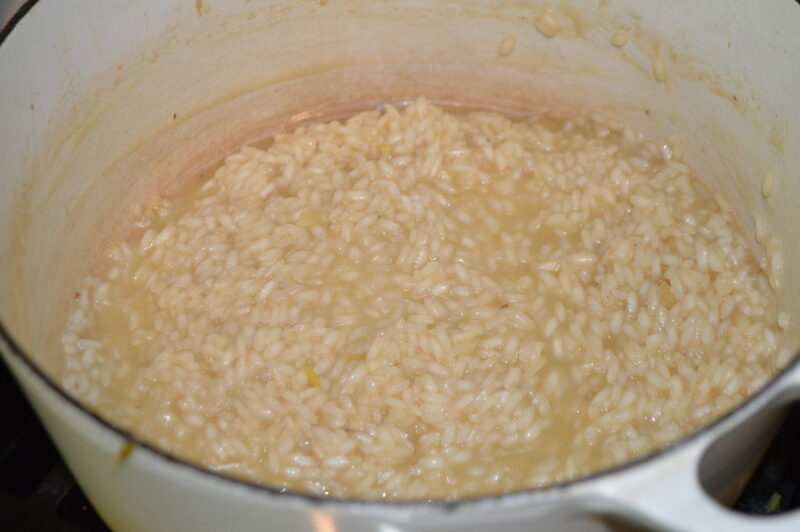 Risotto is made with Arborio rice which is a starchy short-grain white rice. 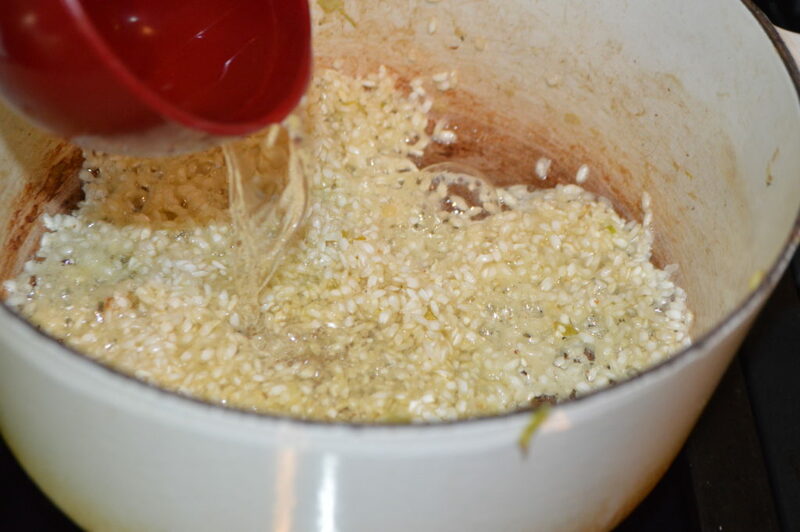 It’s traditionally cooked down with white wine and hot chicken stock in a slow process that takes about 18-22 minutes of gently stirring instead of the cover and let cook method of other white rices. It’s the slow stirring and incorporating the hot liquids into the rice in small batches that releases the starches and gives this dish the creamy texture it’s known for. That and the bit of creme fraiche and butter you add at the end. Let’s be real – that’s the good stuff. 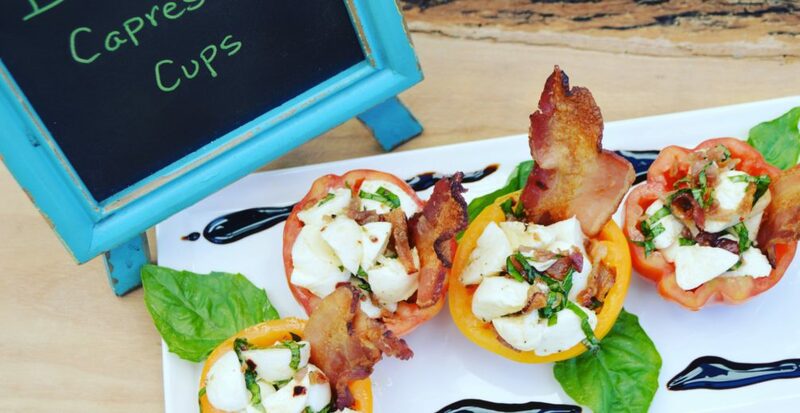 So you balance out all those healthy veggies with a little bit of fat and cream. Life is all about balance, right? I like to top mine with parmesan cheese and a little bit of microgreens or fresh chopped basil for freshness and color. 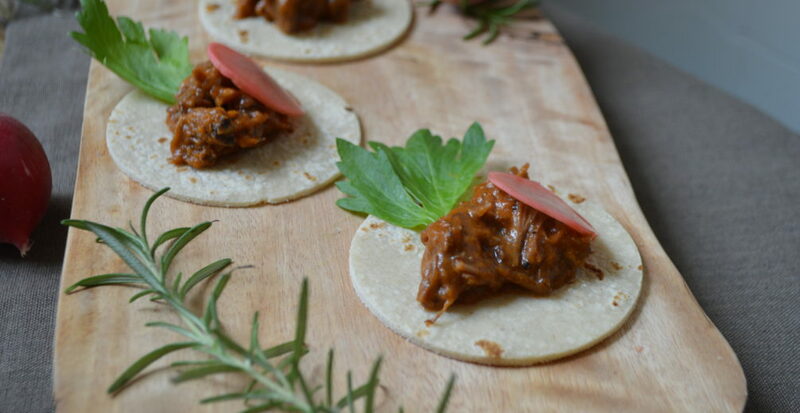 That’s the fancy touch though so if you don’t have microgreens or basil on hand don’t shy away from this dish. It’s just as yummy without. Start with the best ingredients you can find. Fresh summer corn, leeks, dry white wine like a Sauvignon Blanc or a Chardonnay. 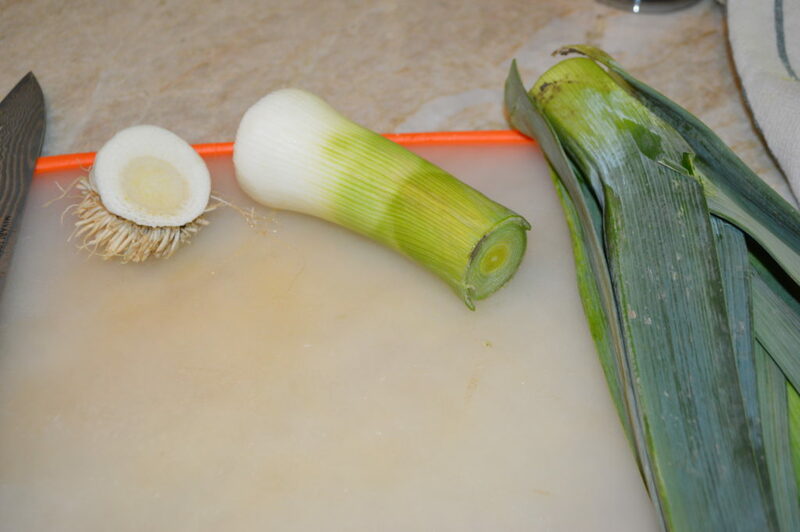 Break down the leeks by cutting off the ends and the top dark green part. You only want to use the inside of the light green and white parts. Leeks are very dirty so be sure to rinse them really well. That’s one way to ruin your risotto! Give the clean leeks a good dice. 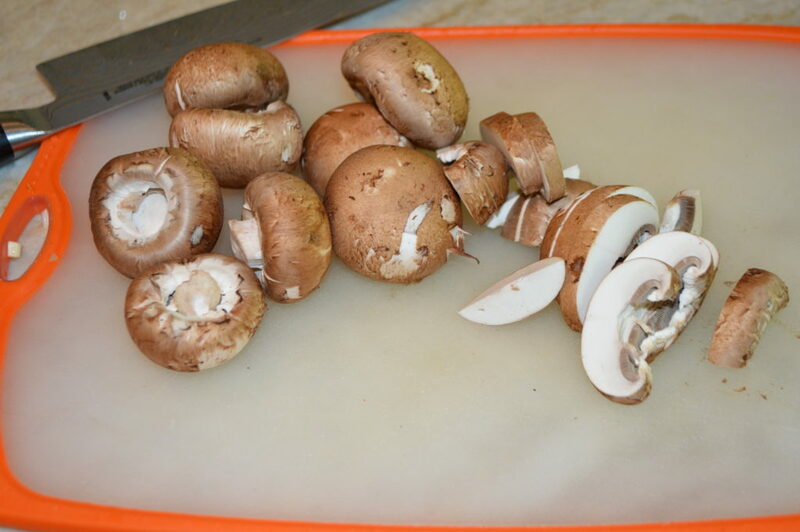 A top for cleaning mushrooms is to use a damp paper towel and just wipe the dirt off of them. They are too porous to run under water. Then slice the clean mushrooms and set aside. Next cut the corn directly off the cob. 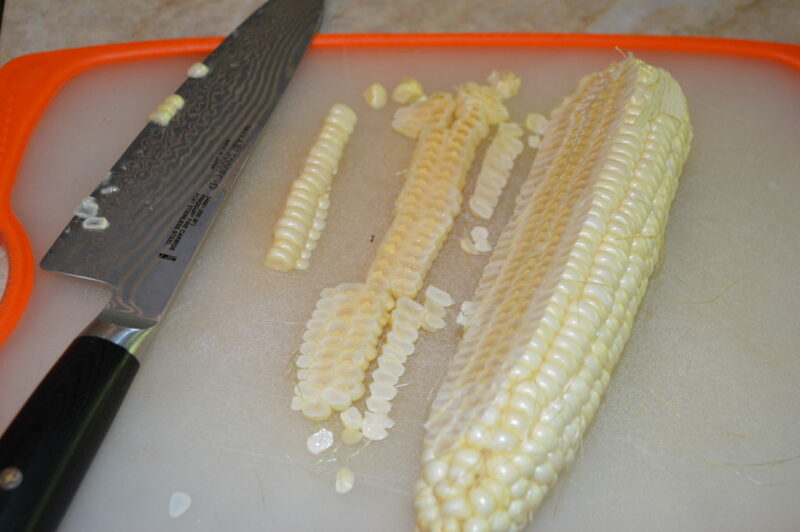 I cut mine length-wise with the corn laying on the board just as shown below. I find this keeps the the kernels from flying everywhere but my cutting board. All done. Ready for the pan. 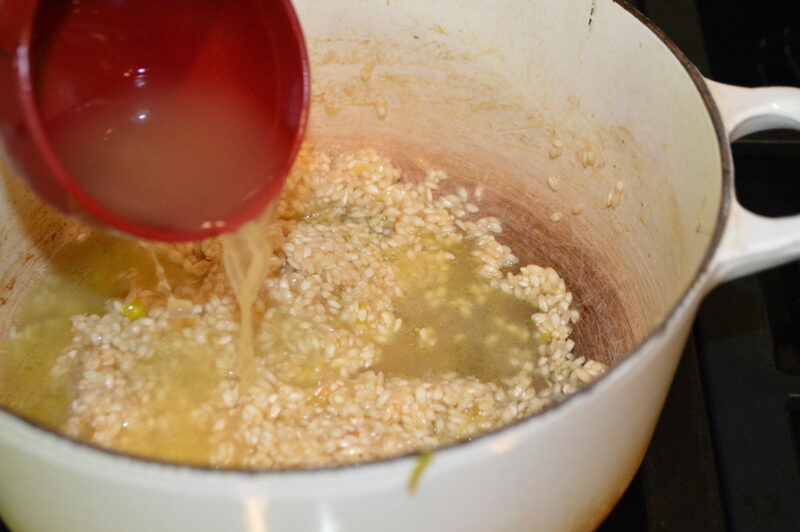 Heat the vegetable stock or chicken stock in a separate pan over low heat and then grab a bigger pot and melt 1 tablespoon each of butter and olive oil over medium high heat. Add all those yummy veggies to the pan and season and saute until tender. About 5-7 minutes should do it. These veggies look about right. 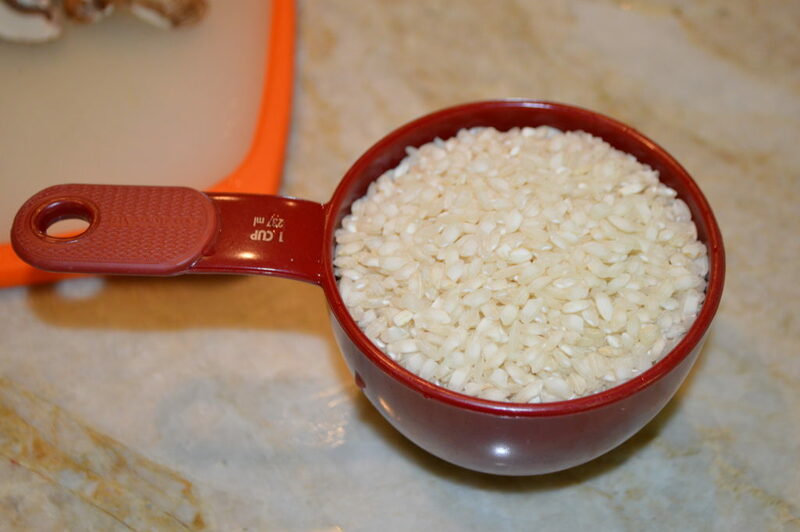 Throw them in a dish and set aside so you can use the same pan for the rice. No need to dirty another pan! This is a close up of that short grain rice. Remember to use Arborio because it has more starch in it. Heat the last tablespoon of oil and butter over medium to medium high heat. 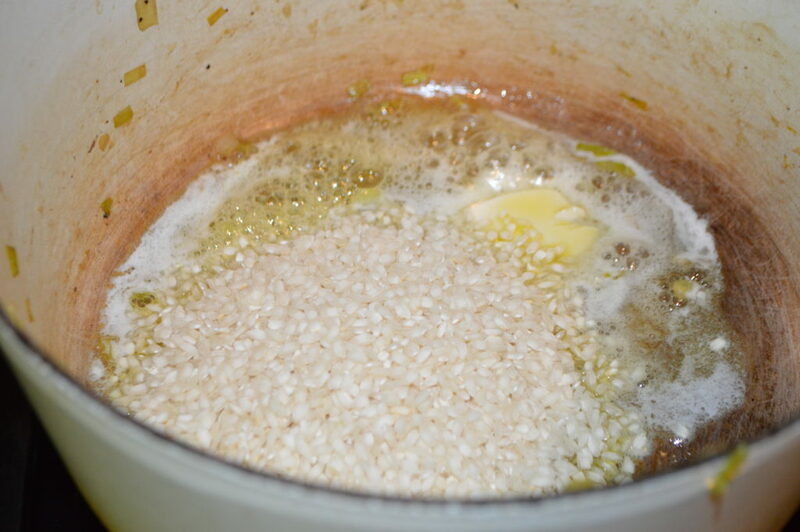 Stir to coat each grain with the fats. I don’t know why this is important but it is. Just trust me on this one. When the wine is absorbed as shown below we are ready to start with the stock. More flavor…. Between 1/2 cup and 1 cup at a time. Now comes the stirring bit. This is usually what puts people off from making risotto is that you do have to stand there and stir it gently (figure 8 motion) for the whole time. 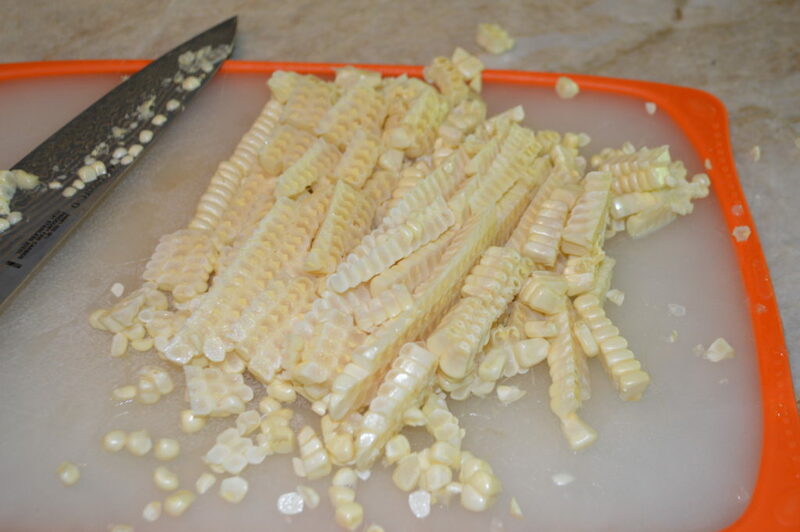 This is what helps release the starches and creates the creamy texture. As the stock absorbs you add a bit more each time. Just think through your grocery list or tune out to some music and enjoy the next 18-22 minutes…. Ta da! 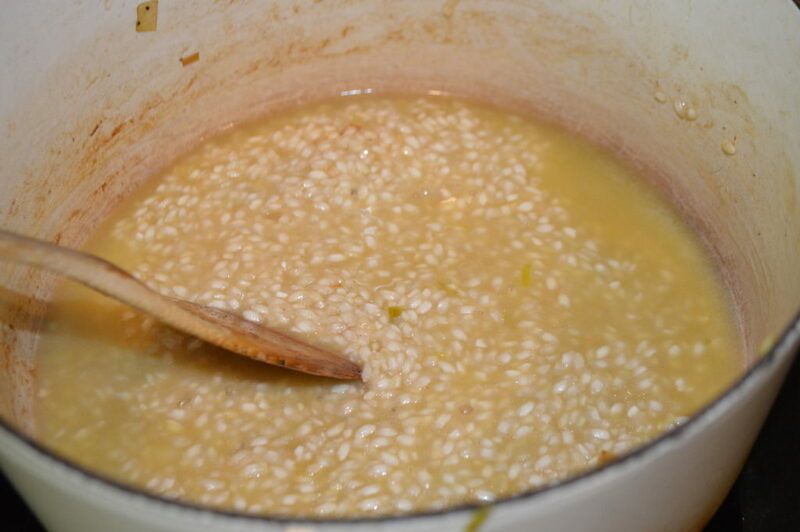 18-22 minutes later and almost 4 cups of broth and you have perfectly al dente risotto. Resist the urge to let it keep going. Remove from the heat immediately. Season well with salt. Now add in the delicousness that is parmesan cheese, butter and creme fraiche. I mean….really…..this can’t be bad now right? Oh yeah. 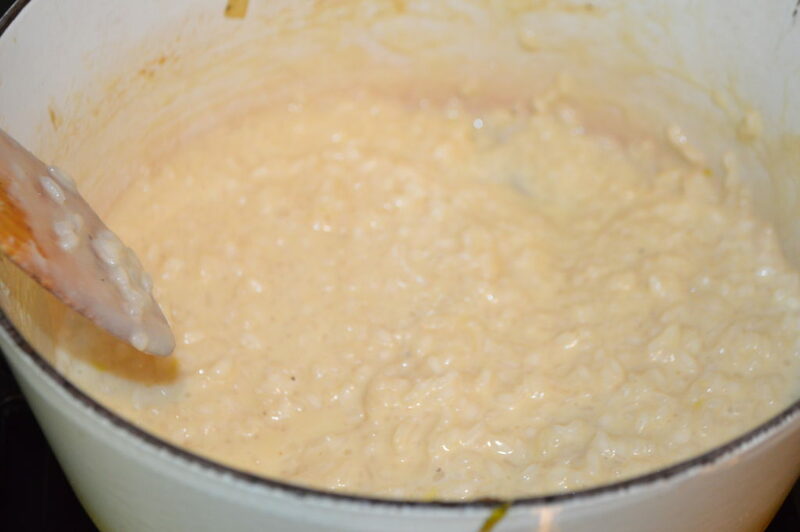 Creamy risotto. You could stop right here…but wait. 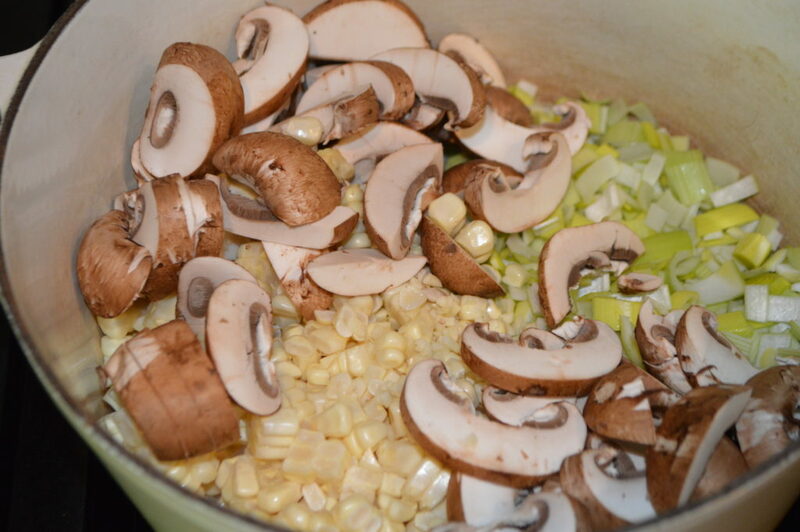 Add back in those veggies (especially that summer corn) and give it a stir to combine! Plate in individual dishes and top with garnishes of Parmesan, lemon zest, and micogreens or basil (or whatever else your heart desires). Serve immediately. Risotto doesn’t hold up as well for later. Heat stock in a sauce pan over low heat. 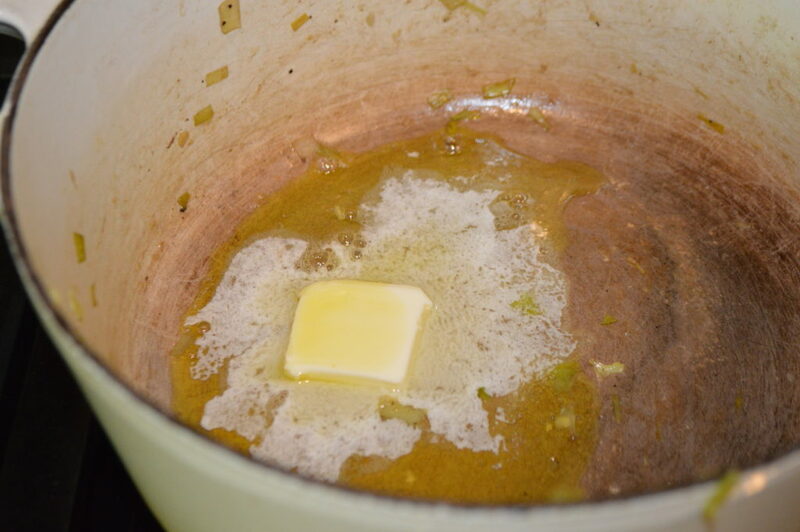 In a separate larger pot add one tablespoon of butter and one tablespoon of oil to the pan. 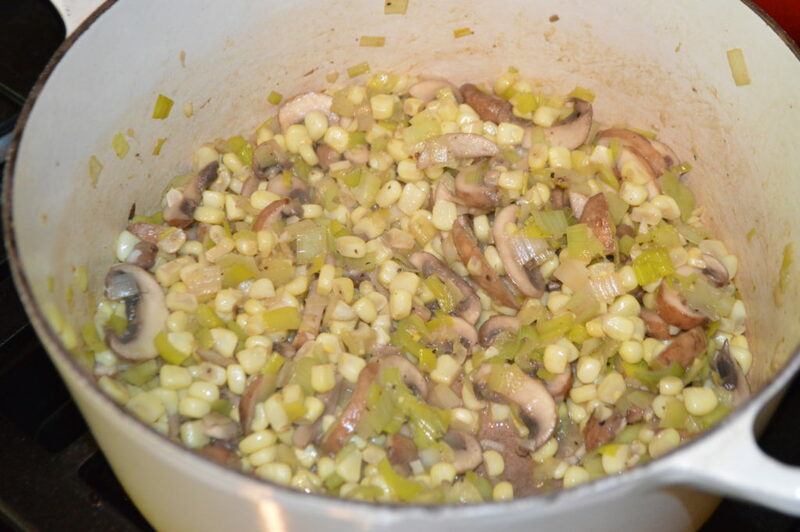 When hot add in the leeks, corn, mushrooms (if using), and garlic. Season with salt and pepper. 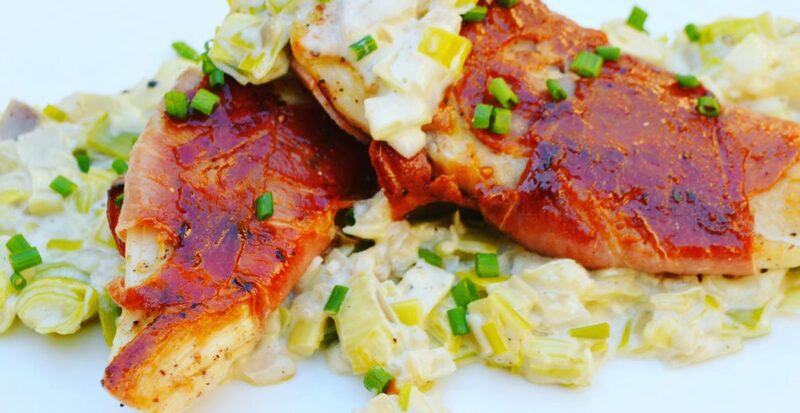 Cook or 5-7 minutes or until softened. Remove from pan and set aside. 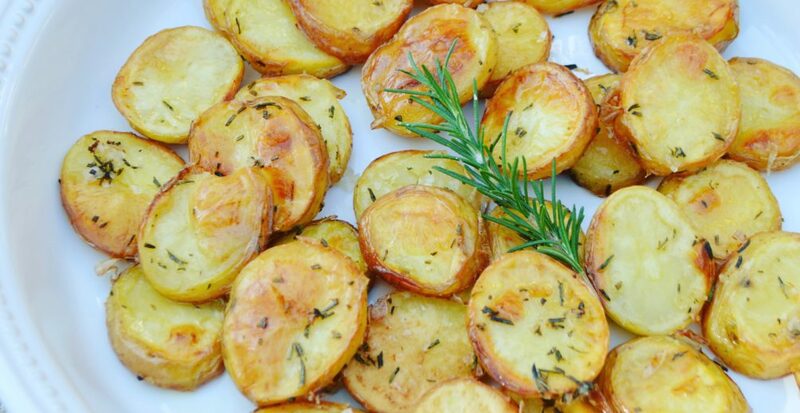 In the same pot add remaining one tablespoon of olive and butter and melt over medium heat. When hot add in the rice and stir to coat each grain. Then add in the white wine and cook until the wine is absorbed. 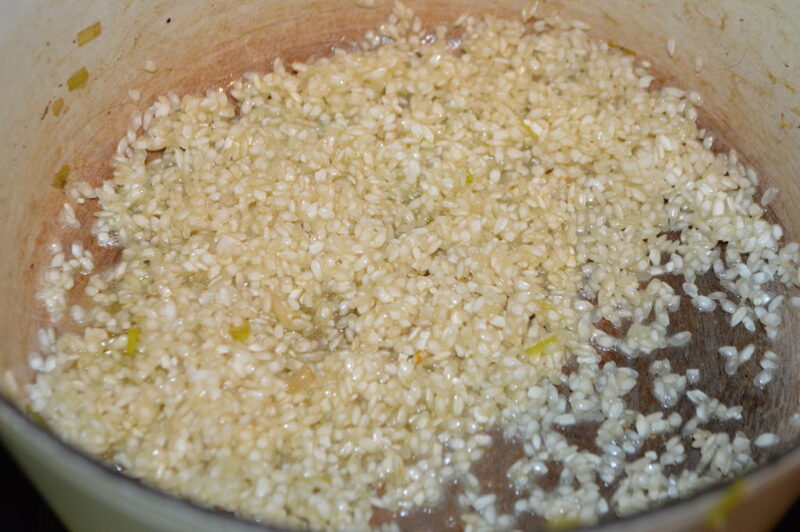 Now add in the stock about a cup at a time, stirring the rice gently with a wooden spoon while the liquids absorb. Once absorbed add another cup of liquids. 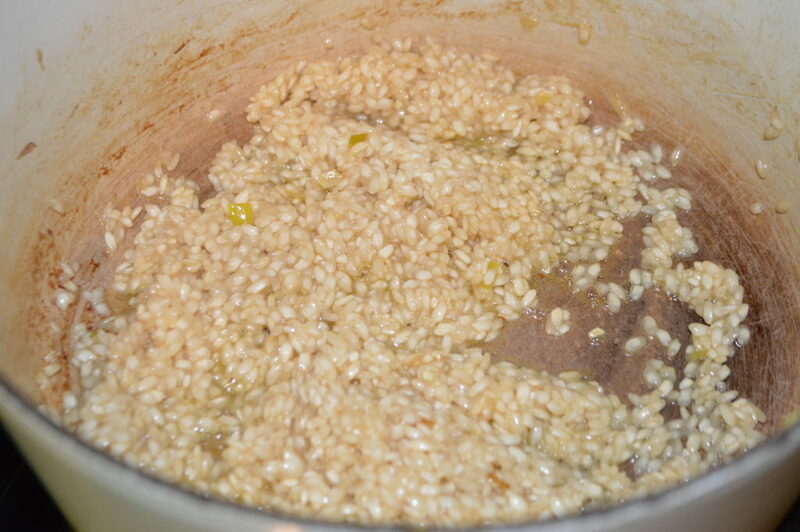 Continue until the rice is cooked through to al dente (not mushy and still with some texture to it). Should take between 18 and 22 minutes. It's okay if there is stock left over or if you had to use a little extra. Remove from heat. 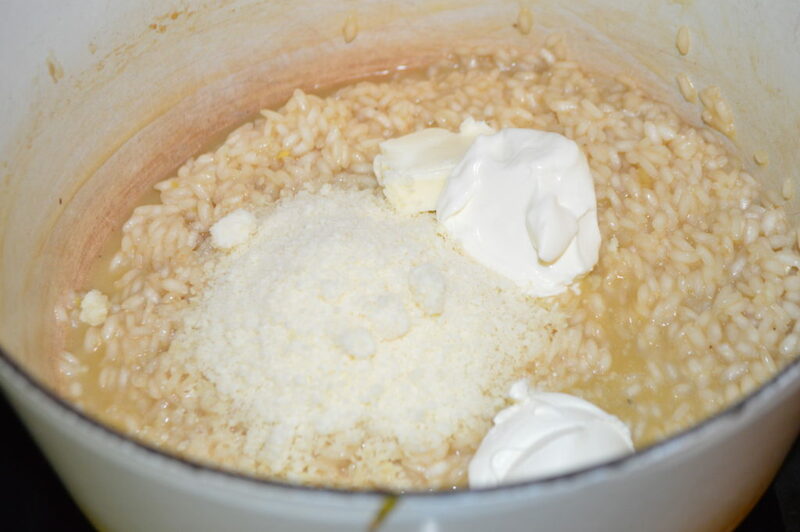 Add the creme fraiche, butter and Parmesan cheese into the rice and gently stir. 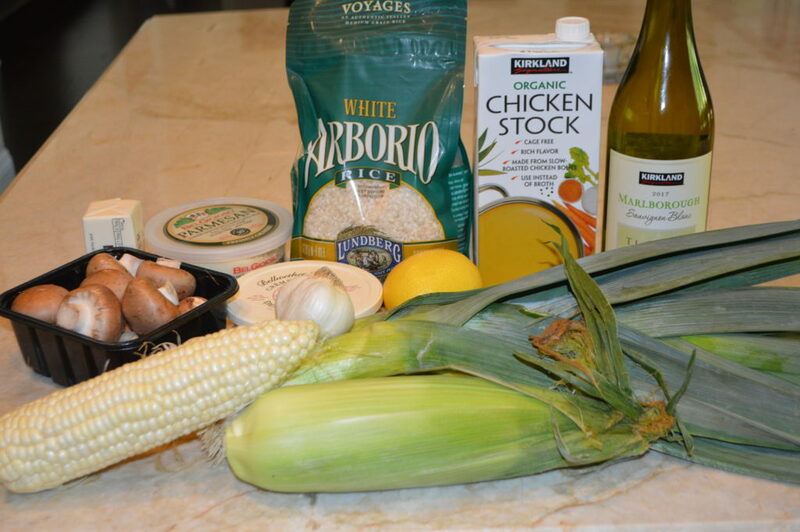 Add the cooked corn and veggies back into the risotto. 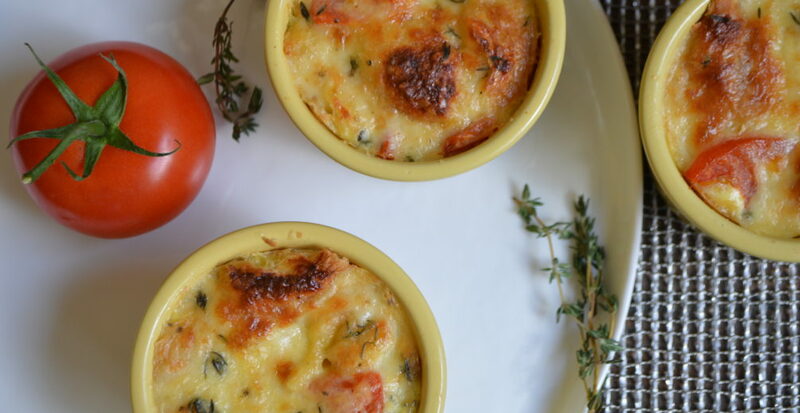 Place in a serving dish or individual portions and top with more Parmesan, lemon zest, and microgreens or basil.